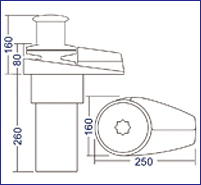 Efficient spur gear box provide high output torque with low current draw, can reduce up to 40% of power consumption. Compact one-piece unit for simple installation and fit any thickness of deck. A torque limiter or buffer gear built-in can absorb sudden impact to deliver smoother operation and greater reliability. Marine grade aluminum alloy in use to ensure corrosion resistance. Crank for manual retrieval capable. 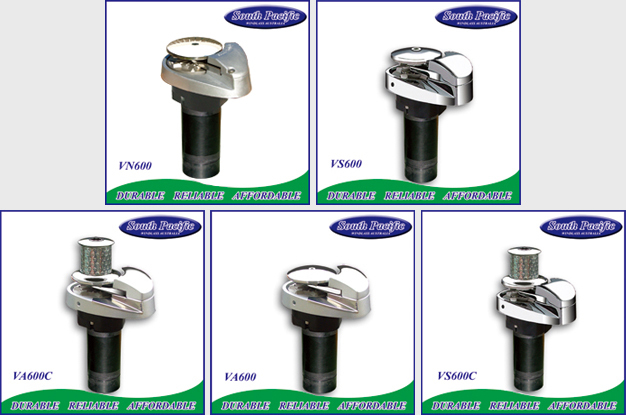 There are three variants of the V600 series windlass, all of which come standard with a stainless steel gypsy. The metal gearbox, heavy duty DC motor and base have been designed into one, with no separate parts for strong structure and easy installation. The VN600 model has a composite nylon fibreglass base to maintain a sturdy frame as well as UV resistance, creating an extremely durable and light weight windlass. The VA600 is made of a marine-grade aluminium alloy with a powder coated finish to ensure corrosion resistance. 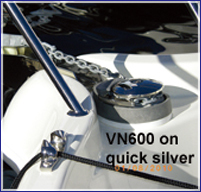 Finally the VS600, our top-of-the-line model with all above deck parts made of polished 316 stainless steel. A torque limiter to deliver smoother operation and greater reliability. 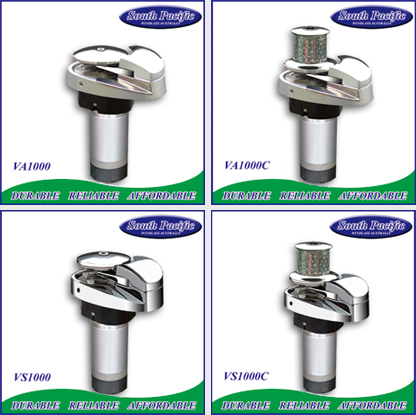 There are two variants of the V1000 series windlass, all of which come standard with a stainless steel gypsy. 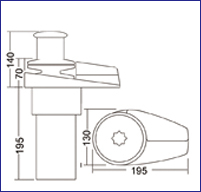 The metal gearbox, heavy duty DC motor and base have been designed into one, with no separate parts for strong structure and easy installation. The VA1000 is made of a marine-grade aluminium alloy with a powder coated finish to ensure corrosion resistance. The VS1000, our top-of-the-line model with all above deck parts made of polished 316 stainless steel. 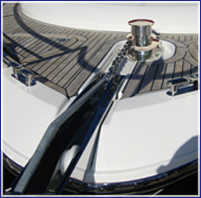 The VS series windlass is a top-of-the-line model, with all parts above deck made of polished sus 316 stainless steel including the base, chain tunnel cover, gypsy and capstan. 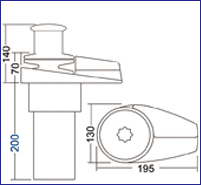 The gearbox, heavy duty DC motor and base have been designed into one, with no separate parts for easy installation.